Nihito – how do you do it? Nihito – what is it? Social media marketing is inexpensive, efficient and it works… if you take the right, pre-launch steps. 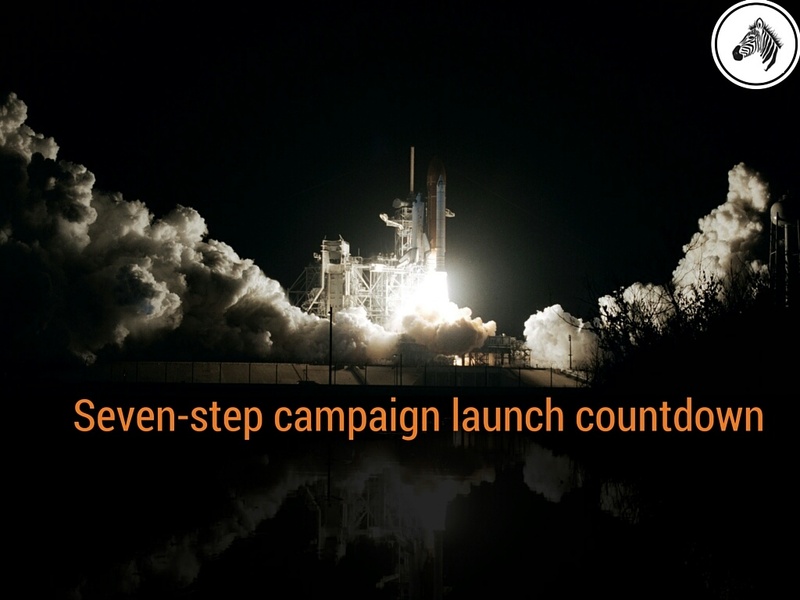 Every campaign requires a few steps to be taken ahead of hitting the “launch” button, to make it work well and to avoid costly, time-wasting results. So here is a checklist of the seven, vital decisions you have to make prior to launching any campaign. Be clear about what it is you’re trying to achieve with the campaign. This might seem trivial and obvious, but it’s a decision that has to be made up front, otherwise you risk the campaign setting off without clear objectives. Are you aiming to sell products directly from the campaign? Often the answer is “yes”, but be specific. How many? At what price? No-one likes to be sold “at”. As consumers, we want to be given information that is pertinent and relevant to us and which answers the question, “so what?”. We don’t want to be given a list of “features” of the product or service. We want to be told a story. A compelling narrative that tells us that our situation is understood, the problems we have are understood and the solution to those problems is available right here, right now. The sales message should be a story. It should start with a set-up, introduce a conflict, then create a resolution. In this way, we see that the advertiser understands us, acknowledges that we have a problem that needs fixing, then solves it for us. You can deliver this story in any format: from a sophisticated YouTube video, to a snappy tweet or even a cleverly-captioned Instagram post. But you must be clear on what the story is before you create the post. There is more information about how to use Story-telling in social media here: How to create the perfect story. It is important to be clear about who you are trying to reach. Be focused on which market segment, which group of people, which sector of your typical customer base you are aiming to get your message across to. Because, the closer you target your potential customer base, the more efficient your social media marketing will be. The best way to identify target customers is to use a technique called “Personas”. This is where you describe just one typical customer. This takes out the complexity of trying to identify a whole group of customers and gets you, instead, to focus on one. By describing that person as fully as possible, you can work out the best way to reach him or her. And when you have reached one persona, you are likely to find several more, just like them: all of whom are the right candidates for your to get your social media marketing messages in front of. There is more information about how to build and create Personas to help target your marketing here: Using Personas to describe your customers. Work out what your competitors are doing. Find out their messages. See who they are talking to. What works for them? What social media marketing techniques do they repeat? The more information you have about your competitors, the better-informed your campaigns are going to be. Use social media to target your competitors’ customers. You can present tailor-made offers to those customers, once you have identified them. Or, if you know what your competitors’ products are, you can market strongly-competing offers. Choose the social media channels for each campaign carefully. What works on Facebook might not work on Twitter. If you have a blog, the content you use there might work well on LinkedIn too. Is Tumblr right for your messages? If you need to demonstrate your product with video, think about using Facebook Live, Periscope, Twitter, Instagram and YouTube. Don’t limit your campaign to just one social media channel unless you have to. Find out more about marketing on Twitter here: Five Twitter tips for businesses; and more about Tumblr here: What is Tumblr? The voice you use depends on three criteria: how you want your business to be perceived; what is right for the channel you use; and how your customers typically communicate. And the third of these is by far the most important. Here is what David Ogilvy said about using the right voice for consumers. Decide at the start of the campaign whether you are going to use paid-for advertising or rely only on content you place free of charge on your social media channels. This will depend on several criteria. What is your budget? Are you trying to “convert” leads or acquire new ones? What is your timescale? How well do you already know your audience? Make the decision about whether, when and where to advertise; but also make the decision about how to advertise. Do you want to publish advertising that simply asks the customer to buy a product? Or are you looking to receive more “likes” and “shares” on Facebook? Or collect email addresses from potential customers to provide them with more information later? So the seven decisions you should make before starting any campaign are: Objective, Story, Targets, Competitors, Channels, Voice and Advertising. And once you’re ready to go, remember one more thing: measure your response. Why not let us help with these seven decisions? We can provide expert advice and guidance on social media campaigns to help you maximise returns and start achieving your goals as soon as possible. Email us now – info@thedigitalzebra.com.